Experts poring over secret Islamic State dossier found in Pakistan's tribal badlands; Arutz Sheva gains an exclusive look. Retired U.S. Defense Intelligence Agency Director Gen. Michael Flynn and other U.S. intelligence officials confirmed the authenticity of the document based on its unique markings, specific language used to describe leaders and the writing style and religious wording that matched other Islamic State records. The document serves as a Nazi-like recruiting pitch that attempts to unite dozens of factions of the Pakistani and Afghan Taliban into a single army of terror. It includes a never-before-seen history of the Islamic State, details chilling future battle plans and urges al-Qaeda to join Islamic State. Rabbi Abraham Cooper, associate dean of the Simon Wiesenthal center for human rights who heads Center’s Digital Terrorism and Hate Project, compares the Islamic State threats in the document to the rise of Nazism pre-World War II. The brutal killing of a teacher and three children at the Ozar Hatorah school in Toulouse in 2012 by an Algerian Islamist was a major signal to the Jewish community that Europe was no longer safe and that not enough was being done to curtail the rise of anti-semitism, he said. “It’s important to remember what our founder, Wiesenthal said, ‘it often starts with the Jews but it never ends with the Jews,” Cooper said. “As a matter fact [Islamic State] did not create anti-semitism but they are taking advantage of it, and they are building on it." The document advocates creating a new terrorist army in Afghanistan and Pakistan to trigger a war in India and provoke an Armageddon-like confrontation with the United States. It also details Islamic State’s plot to attack U.S. soldiers as they withdraw from Afghanistan and target America diplomats and Pakistani officials and blames the rise of jihadi organizations on the establishment of Israel. “No sooner had the British government relinquished control of Israel, Ben-Gurion, the leader of the Jews, declared the independence of the State of Israel, triggering a global migration of Jews to the Jewish State, and launching the systematic persecution of Palestinian Muslims who had to abandon their homes and migrate,” the document states. The document discloses the history of Islamic State dating back to the early 1990s and explains why in 2011 its leader, Abu Bakr al- Bagdhadi, unleashed car bombs to avenge Osama bin Laden’s death, and boasts about the suicide rates of American soldiers. The battle plan to “end the world” is described in six phases (three of which have already passed) - ripping pages from al-Qaeda’s original plans to defeat the west, in a graphic illustration of how ISIS sees itself as the true heirs to Osama Bin Laden's legacy. Phase 2 “Shock and Awe” 2004 – 2006: Islamic State will lure U.S. into multiple theatres of war, including cyber-attacks and establish charities across the Muslim and Arab world to support terrorism. Phase 3 “Self-reliance” 2007-2010: Islamic State will create “interference” with Iraq’s neighboring states with particular focus on Syria. Phase 4 “Reaping/extortion/receiving” 2010-2013: Islamic State will attack “U.S and Western interests” to destroy their economy and replace the dollar with silver and gold and expose Muslim governments’ relations with Israel and the U.S. In response to the document, a senior ranking Israeli official said that in the Middle East the world faces two threats – from Islamic State and from Iran. “We need not strengthen one at the expense of the other. We need to weaken both and prevent the aggression and arming of both," he warned. The document builds on evidence that Islamic State is expanding into the region where the September 11 attacks were born. A united Taliban, backed by the hundreds of millions of dollars of Iraqi oil revenue now enjoyed by Islamic State, would be a “game-changer,” officials said. Unlike al-Qaida, whose focus was the United States and other western nations, the document said Islamic State leaders believe that’s the wrong strategic goal. 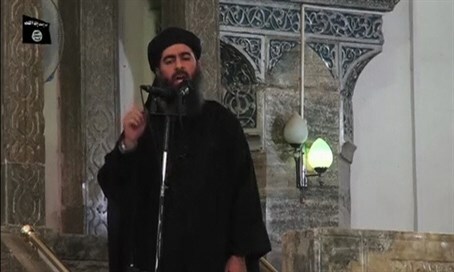 “Instead of wasting energy in a direct confrontation with the U.S., we should focus on an armed uprising in the Arab world for the establishment of the caliphate,” the document said. The failure to target the radical Islamic ideas has given the group breathing room to spread throughout the world much like Hitler did.